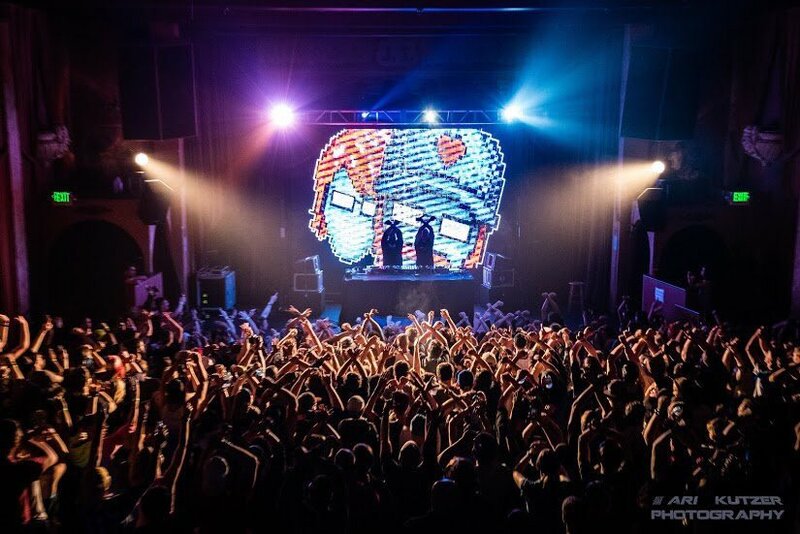 Pegboard Nerds will perform the first concert in the renovated L.C. Walker Arena on Friday, April 5. Photo courtesy of ELQ Entertainment Group. The bands that have played at the L.C. Walker Arena since the venue’s debut in 1960 are a veritable who’s who of rock, blues and country: Duke Ellington and Johnny Cash. Count Basie and Willie Nelson. The Guess Who. Metallica. Judas Priest. And the list goes on. Now, the arena is set to host its first concert since the venue’s $1.7 million renovation—and the event featuring Pegboard Nerds, a Danish-Norwegian electronic music group, and local funk/soul favorite Flexadecibel is issuing a message from Muskegon’s large-scale entertainment landscape to the rest of the country: We’re back. And growing. The April 5 concert, titled “Close Encounters of the N3rd Kind,” is slated to usher in a new era of live music in the city that will remind the region, and country, that Muskegon can be a musical tour de force where thousands of fans pour into a single show, ELQ Entertainment Group President and Founder Erik Quintero said. 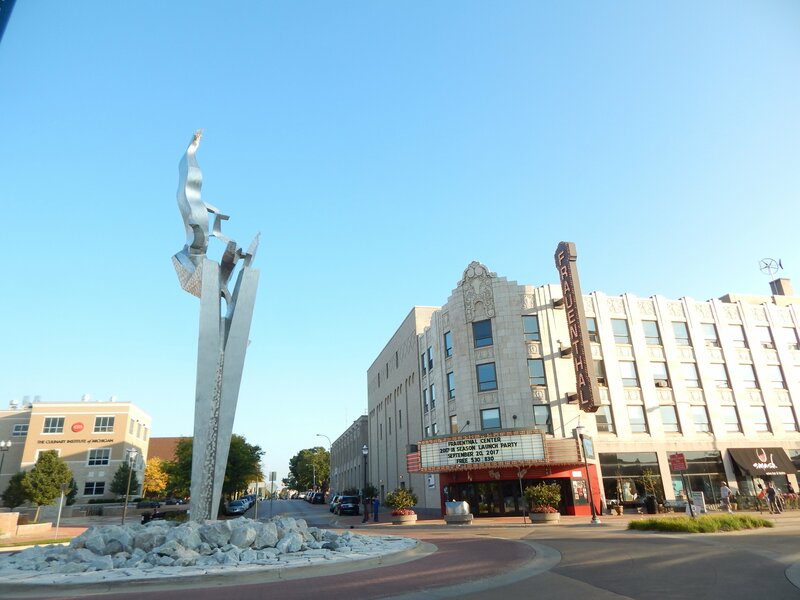 “Now that we’re moving the ball forward in the city, now that the development in downtown has taken off, there’s a cultural shift that everyone can feel in downtown Muskegon,” said Quintero, who was born and raised in Muskegon and whose booking, development and promotional entertainment company is partnering with the city to bring Pegboard Nerds here. Dubbed by Billboard as a “must-see act” that plays “dynamic, shimmering, vibrant, energetic, and bossy as all hell” songs, Pegboard Nerds—which is currently on a cross-country tour—is a high energy band whose concert marks the beginning to an entertainment-packed summer, Quintero said. As for the Danish-Norwegan band’s performance, Quintero said audience members—of which there can be up to 4,500 at concerts in the renovated arena—can expect a “big production value” event. 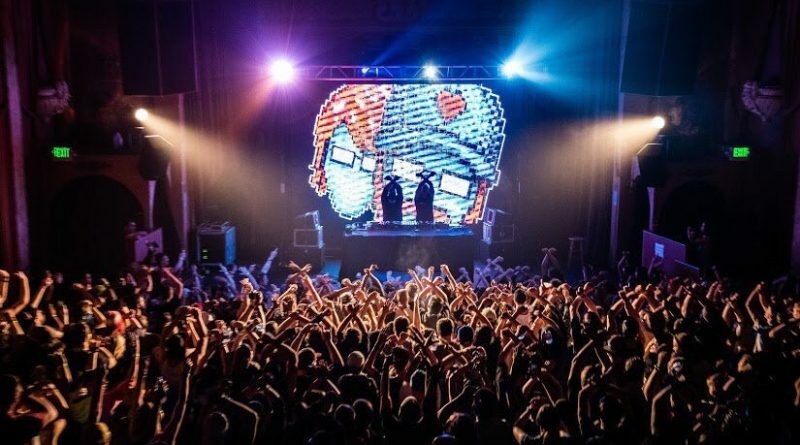 Before Pegboard Nerds takes the stage, Muskegon’s Flexadecibel will bring their horn-driven dance, funk, rock, and soul fusion sound to the crowd. “It’s super important to me to allow somebody from the local scene to be a part of” any of the concerts he’s involved in, Quintero said. 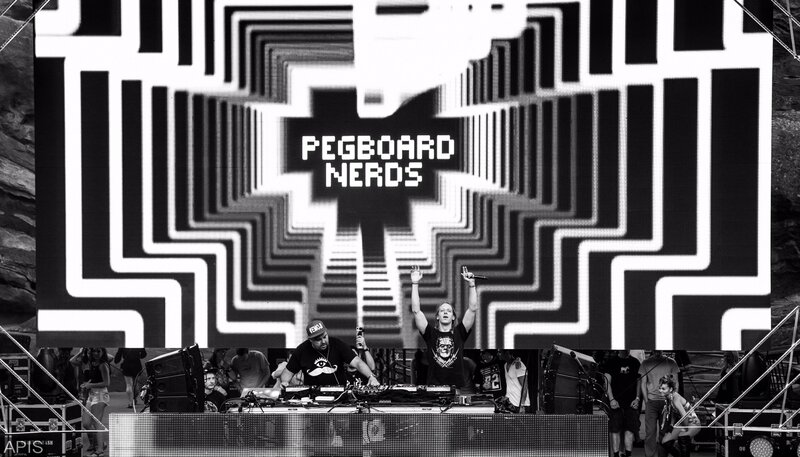 The Pegboard Nerds. Photo courtesy of ELQ Entertainment Group. Building upon an already strong local music scene, including concerts at downtown’s Frauenthal Center and Unruly Brewing, diverse programming from The Block and the West Michigan Symphony, a wide range of local music festivals—from the Michigan Irish Music Festival to the Shoreline Jazz Festival—and more, the L.C. Walker Arena, which is also home to Muskegon Lumberjacks games, will further draw fans, musicians and big-name musical acts to the city, Quintero said. This growth, he continued, is a welcome change from years past. As for the city’s musical future, Quintero said it’s not a stretch to image Muskegon, and West Michigan in general, as something akin to Nashville. That “explosion” translates to a wide variety of musical performances, he said. “We all want to try and diversify the shows here so we can have something for everyone,” Quintero said. Pegboard Nerds and Flexadecibel will perform on Friday, April 5 at the L.C. Walker Arena in downtown Muskegon. The show is for audience members ages 18 and older. Doors open at 6:45pm; the event will run from 7:30pm to 10:30pm. Standing floor tickets are $25 and bowl seating tickets are $20. For more information, click here, and for tickets go here.